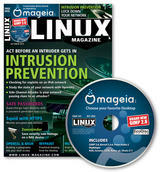 My latest article on Wireshark made it to Issue #143 / Oct 2012 issue of Linux-Pro Cover Theme: Intrusion Prevention. Reading a packet capture file with Wireshark and tshark 'Needle in a Haystack'. Wireshark doesn't just work in real time. If you save a history of network activity in a pcap file using a tool such as tcpdump, you can filter the data with Wireshark to search for evidence.